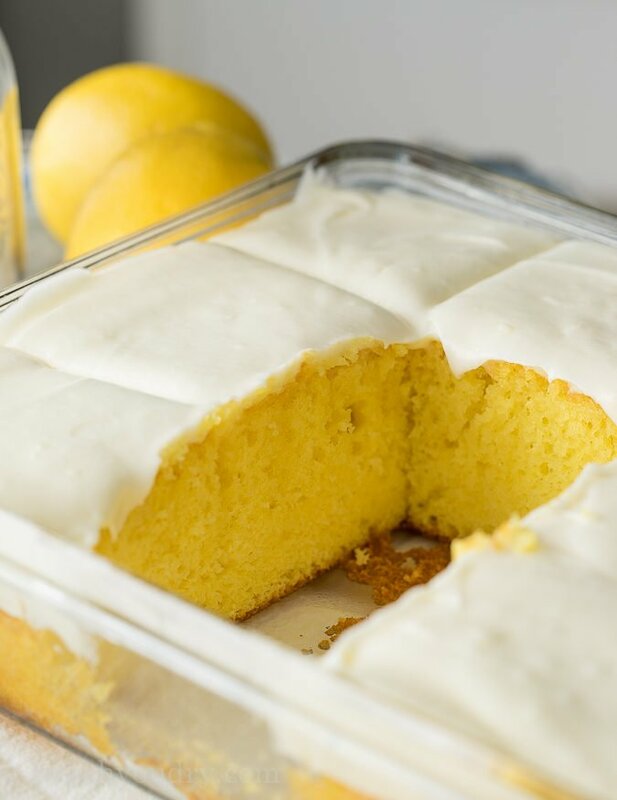 Super Easy Lemonade Cake Recipe is bursting with that sweet and tart lemonade flavor in a slice-able cake! 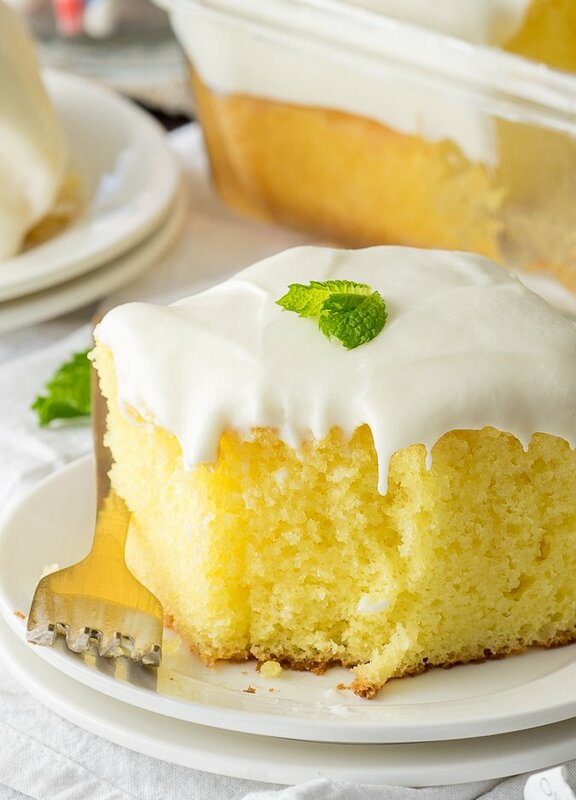 Super Easy Lemonade Cake Recipe uses frozen lemonade concentrate to infuse that bright lemony flavor into each bite! It’s no secret that I love all things LEMON! I took that obsession one step further with this soft and fluffy, yet super moist Lemonade Cake. School just got out for my kids on Wednesday and it’s amazing how you can go from 100mph on the last day of school, to totally chill and relaxing the next day. I’m absolutely loving it. 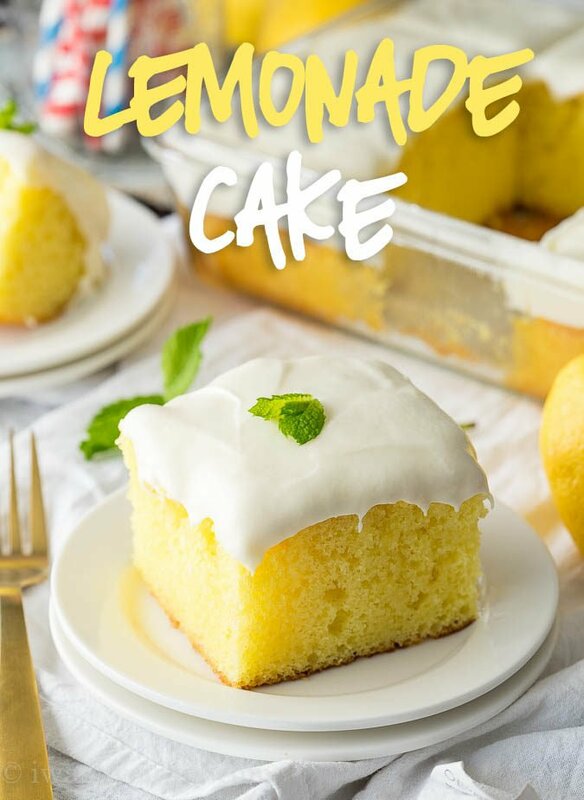 Instead of making a lemonade stand this summer with my kids, I’m planning on making this super easy Lemonade Cake all the days. The first thing you want to do is bake up a lemon cake mix, just like the directions state on the box. Once the cake is done baking, and before it’s cooled, you’ll poke holes all over the cake with fork. Then you’ll whisk up some lemonade concentrate with a little powdered sugar and pour it all over the top. While the cake is still warm it will easily absorb all that lemony goodness. Let it come to room temperature and then chill it until it’s nice and cold. Whip up some of my lemonade buttercream frosting and spread it over the top! The frosting has a cream cheese and butter base, which is super smooth and creamy. 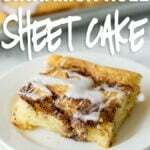 It’s sweetened with extra lemonade extract and powdered sugar, so it’s a breeze to make! Spread the frosting over the cool cake, slice and enjoy! 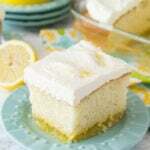 This cake is cool and refreshing, with that delicious lemony flavor. You’re going to really enjoy this one! Total Time: 1 hr. 55 min. 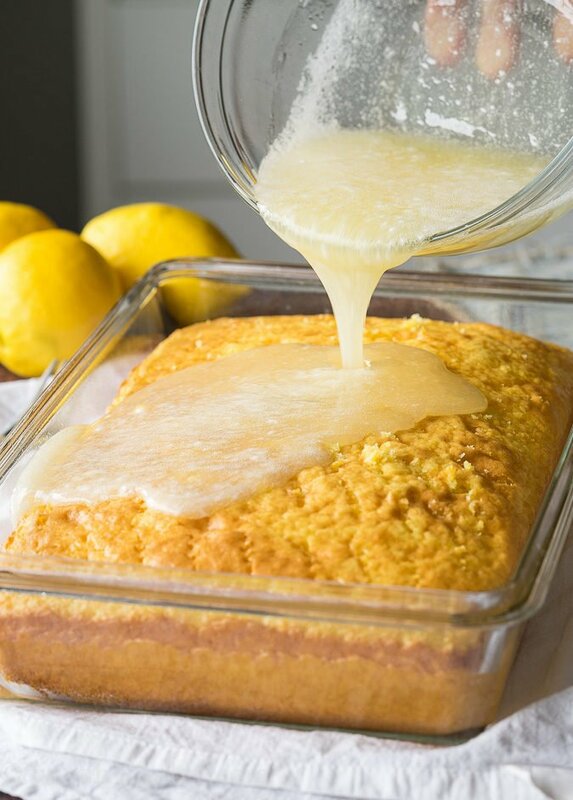 Mix the cake mix with the water, oil and eggs according to package instructions and pour into a 9×13″ pan. Bake for 28 to 33 minutes. Let cool for 15 minutes. Poke a fork, many times, into the top of the warm cake. Meanwhile whisk together the 1 cup lemonade concentrate with 1 cup powdered sugar. Pour evenly over the cake. Let soak in until the cake has cooled to room temperature. Cover and refrigerate until chilled, about 1 hour. Beat the cream cheese and butter until light and fluffy. Gradually add the powdered sugar and lemonade concentrate (with one pinch of salt) and mix until light and fluffy. Spread the frosting over the cake. Slice and enjoy! Can I make the night before and refrigerate? This fabulous lemonade cake was so easy and tasted great! I made one for church and it disappeared within minutes! The one for family didn’t last the day! Nice balance of sweet and tart. The lemon buttercream icing is to die for! Thank you for a quick and delicious recipe. Thanks Virginia! So glad you enjoyed the cake! Made this for my work bud’s and everyone LOVED it! We all work out in the heat and this was the perfect treat on a July day, Thanks! Awesome! So glad you enjoyed it Beth! How long will this keep in the refrigerator after made? Will it be ok and taste the same after 2 1/2 days before cutting ? Will this work if i wanted to make it a layer cake? This is absolutely delicious! I have made this lemonade cake 3 times since it was posted a few weeks ago. Everyone loves it! Thanks for sharing the recipe! Lemonade and cake sounds like a perfect combination! Thanks for sharing. So yummy. 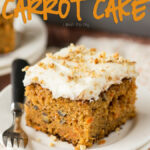 Do you think this would be good with orange cake mix and orange concentrate ? I’ve never seen an orange cake mix, but I’m thinking it might work! I know that orange juice concentrate is pretty thick, so maybe water it down slightly before adding? I made this last weekend. It is sinfully delicious! 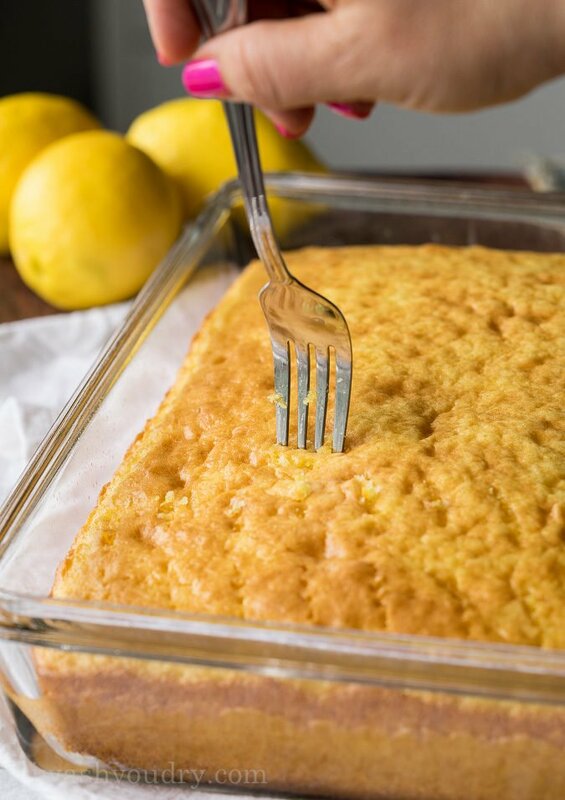 Thanks for sharing this simple yet lemony sweet recipe. This is just perfect for a summer afternoon, thanks, the kids just looove it! 13″ x 9″ is what I used and it filled the pan! Does anyone know where you can buy frozen lemonade concentrate from in the UK? I’m not sure about the UK, but here in the US you can find it by the frozen orange juice concentrate. Mmmm I love lemon, too!! This looks really good – I think I may keep it for 4th of July!! What a great summer dessert!